Combines dexterity and comfort with strength to protect against paint, ink, glue, resin, detergent and other substances which can harm the skin. 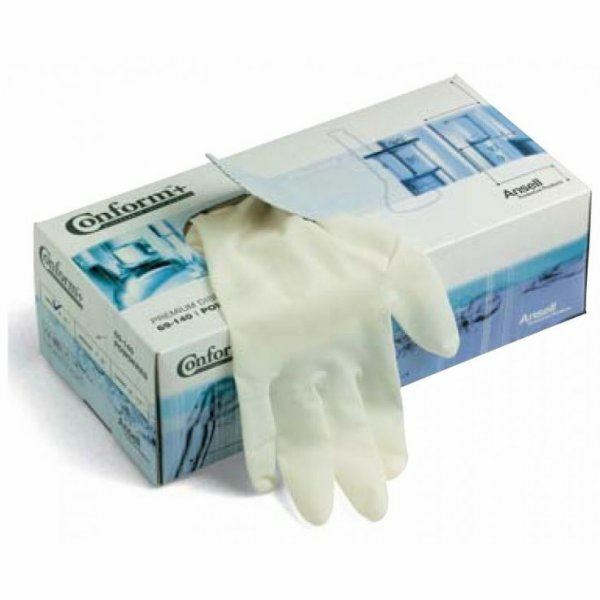 These 100% natural latex gloves fit both left and right hands, have textured fingertips for improved grip, and come in an economical and convenient dispenser pack. 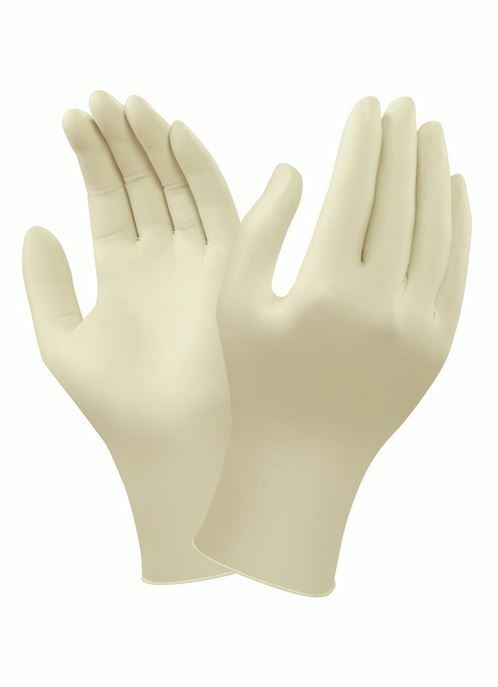 Powder-Free, 100% natural latex gloves suitable for janitorial and lab work. Textured fingertips improves the overall grip these gloves have to offer. 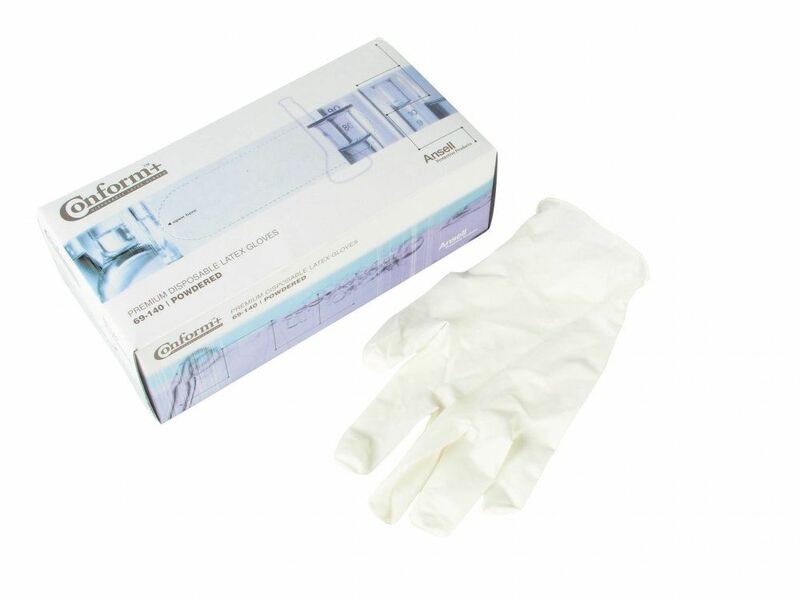 Ansell 69-150 Conform+ Latex Disposable Gloves Conforms to: EN374-2, EN374-3 Standards.